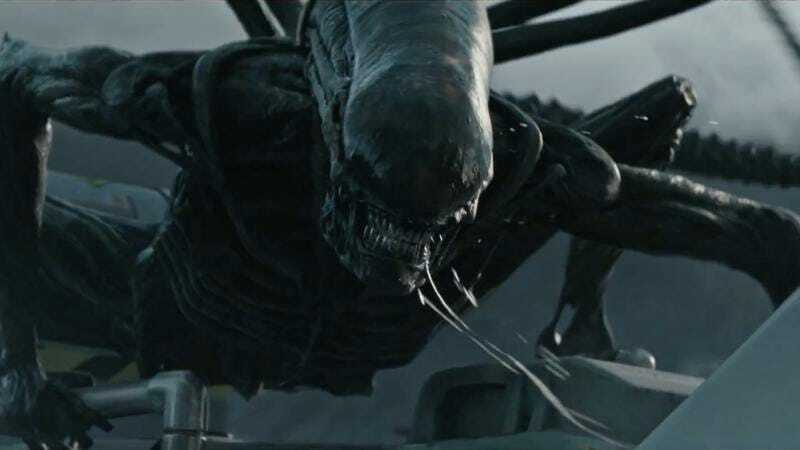 Everything we’ve seen from Ridley Scott’s Alien: Covenant so far makes it look like the movie will be leaning on the same kind of dread and misery that made Scott’s original Alien so scary. It’s a prequel, and knowing what we do about the other movies in this series, it also seems safe to assume that pretty much everyone in the movie—including Katherine Waterston, James Franco, Billy Crudup, and Danny McBride—will be viciously and brutally slaughtered by inhuman beasts that may or may not physically rip themselves out of these poor space travelers. If you’re eager to subject yourself to that kind of extraterrestrial horror, The A.V. Club is giving a few lucky readers a chance to attend an early screening of Alien: Covenant at Chicago’s Kerasotes Showplace ICON theater on May 10, and all you need to do to get free passes is enter your information at this link. Remember: Advance screenings are often intentionally overbooked, so be sure to arrive early if you want to secure a seat. Those who’d rather put off being eviscerated by proto-Xenomorphs can see Alien: Covenant with the rest of the planet on May 19.